I am interested in code no. 600825. Please send me a quotation including shipping charges. The patented fixing mechanism retains the motorcycle in upright position until final fastening. Brackets can be adjusted accordingly to size required. 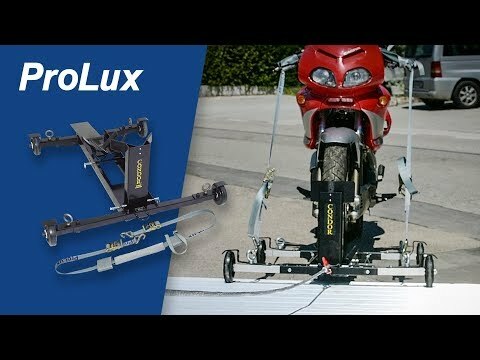 All castors can be blocked individually, the motorcycle loader can easily be dismantled and stowed.